The image was taken in Puddleton Forest just outside Dorchester in Dorset, UK. This particular image was made in an area of the forest which is predominantly very dark pine plantation. There are a few people walking dogs on the paths but as you go into the denser forest it feels very isolated. Earlier in the day I had found a treehouse in the woods and it had obviously been recently occupied. It is unusual to find actual habitation in those woods and it changed the atmosphere. It looked as if the people using it had been forcible removed from the area because there was rubbish all around it and a lot of signs of destruction. 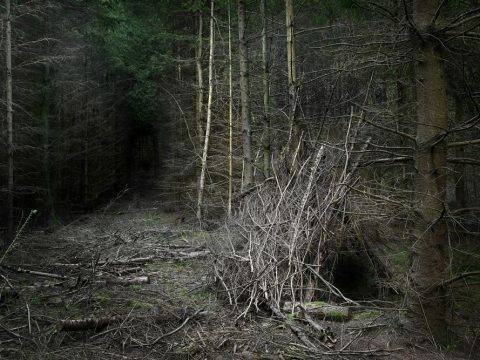 I prefer to work in forests where I am unlikely to be disturbed or observed or perhaps feel any threat, but this discovery had unnerved me and I felt a heightened awareness of the forest and sounds around me. This image strongly evokes those uncomfortable feelings for me. The darkened pathway leading into the background suggests my state of mind and sense of discomfort. 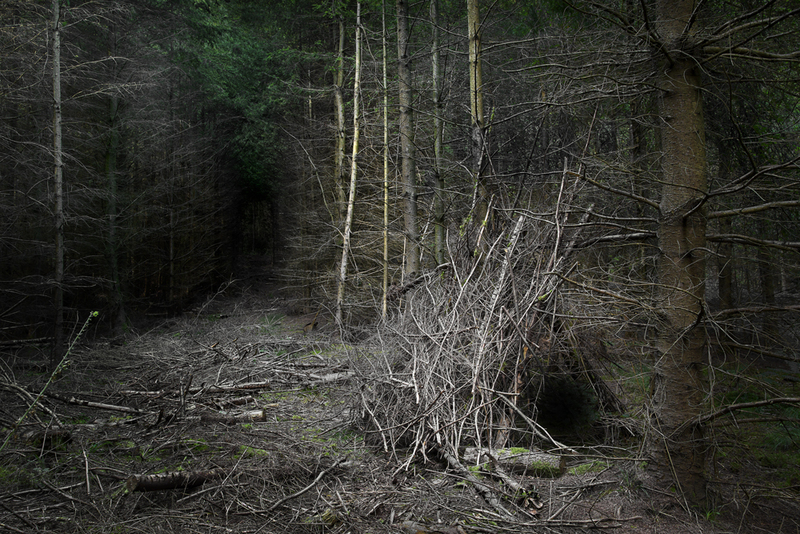 The suggested presence of other people in the woods is an important theme throughout my work and for this reason I am glad to have revisited this image and bring it back into the series where it belongs.